Among them was a revival of the Kurdistan Workers Party guerrilla group (Turkish acronym PKK), which had been in decline in the late 1990s and early zeroes. The Kurds in Northern Iraq, a virtually independent state in the 1990s and until present, gained eve more autonomy with the collapse of the Iraqi state in 2003. Ultimately some 5000 Kurdish guerrillas from the Turkish side of the border, who were in trouble with the Turkish security forces because of their activism, took refuge in villages like Qandil in Iraq. Kurdistan president Massoud Barzani and his Peshmerga paramiitary winked at their terrorist past and continued activities over the border in eastern Turkey. From 1980 through the late 1990s, the Turkish military had pursued a brutal dirty war against the then-Marxist Kurdistan Workers Party (Turkish acronym PKK). The latter pushed a separatist agenda on behalf of the Kurds of eastern Anatolia, who comprise about 10 percent of the Turkish population (and the poorest segment of it). Kurds speak an Indo-European language akin to the Persian in Iran and are spread among 5 countries in the Middle East. 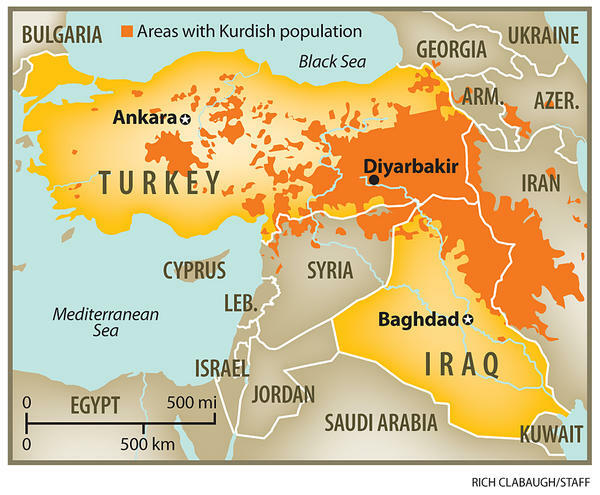 Kurdish nationalism, if it realized its goal of establishing a Kurdish state, would dismember Turkey, Syria, Iraq, Iran and to a lesser extent Azerbaijan. 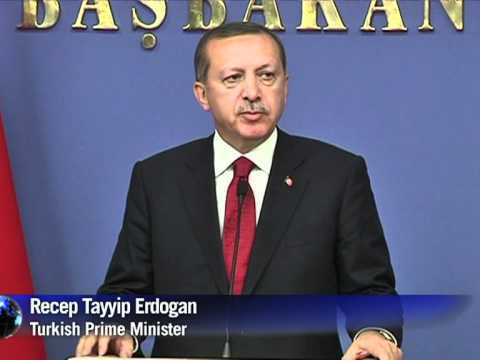 The Turkish that is the official language in Turkey is an Altaic language related to Mongolian in east Asia. The PKK envisions a Kurdish withdrawal from Turkey, though few Turkish Kurds in opinion polling say they favor that option– though Turkish Kurds often do feel discriminated against and want more rights. On Thursday morning, some 500 Turkish troops moved 5 miles into Iraq. At the same time, Turkish warplanes bombed suspected PKK outposts in villages in Dohuk and Sulaimaniya provinces, causing fires to break out and destroying property, and impelling villagers to flee. The incursion is not so far as large as that launched in similar circumstances in 2008. Kurdistan president Massoud Barzani had condemned the PKK attacks as a plot against Turkish-Kurdish brotherly relations, but objected to the Turkish invasion of Iraq. Barzani actually has fairly good relations with Ankara, and Turkey is a major source of investment in Iraqi Kurdistan. But the PKK safe havens are a continued irritant in relations that could at any moment lead to the outbreak of a wider war. The Bush administration, which ended up being weak in Iraq, never made any arrangements for what might happen to Kurdish-Iraqi and Kurdish-Turkey relations after the US withdrawal. The US depended too heavily on Kurdish Peshmerga fighters in Iraq to be in a position effectively to pressure Irbil. This weakness got worse as Obama withdraw tens of thousands of US troops from Iraq, losing virtually all leverage. Washington is therefore bequeathing to an unstable region even more instability.